Millions of showers are going curbless!Are you ready?We are! Most of us wish we had a crystal ball to see into the future and be able to predict what will happen in our industry in the next few years. We do not need one for this prediction - Curbless/Barrier free/Flush Entry/ADA or what ever we want to call a shower without a curb or even a lip, are here to stay! Not only is it the most requested and desireable upgrade in a bathroom but it was one of the most difficult ones to get! Not any longer, now we have Rapid Recess to help with the most difficult part - creating an elevation difference between the bathroom floor and the floor in the shower on plywood floors. This website http://rapidrecess.com will show you how we aproach this challenge. We have built thousands of barrier free showers over the last 25 years and know what the challenges are awaiting you. There are times when seeing the future is not that difficult. This is one of the times and Rapid Recess looks like the company with a crystal ball coming out with a solution for curbless showers. Yes, curbless/barrier free showers are the future of bathrooms and we have to be ready for the change. The consistency and speed of using Rapid Recess is priceless for any remodeling or tile company using their crews to build curbless shwoers. Millions of homeowners will request curbless showers in the near future and most difficult part about the installation is creation of the elevation difference between the shower area and the bathroom floor. Here is where Rapid Recess is essential for all plywood floor installations. 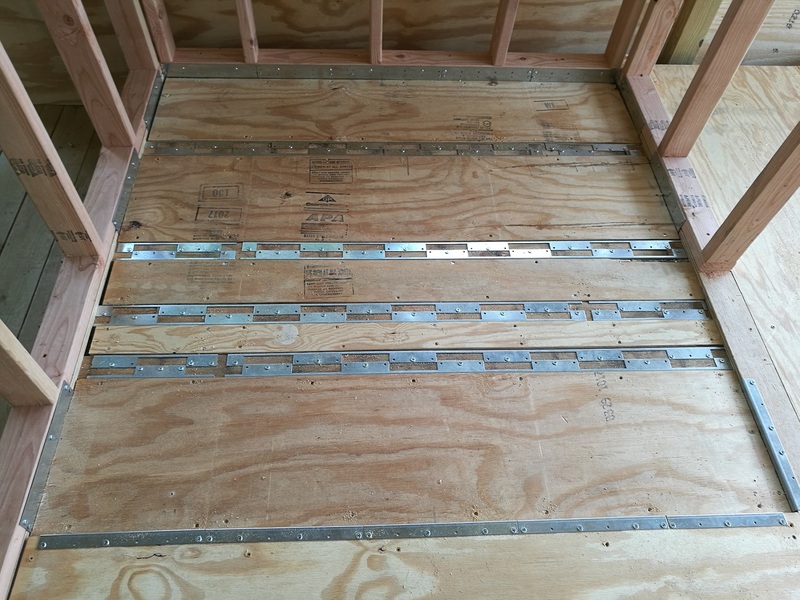 This metal bracket system is the easiest way to drop plywood floor and make a structurally sound and secure platform for any suitable shower pan tileable or finished. Without this system one had to spend a day as a master carpenter to try to create something that is simple and fast with Rapid Recess.